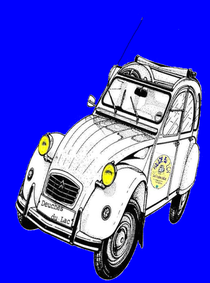 2cv - Site de lesdeuchesdulac74 ! 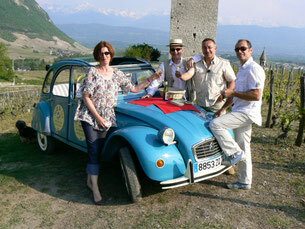 We're here to offer you our services of "Citroën 2CV tours" in the Savoy region. This 100% French vehicle belongs to its mother country's cultural heritage. 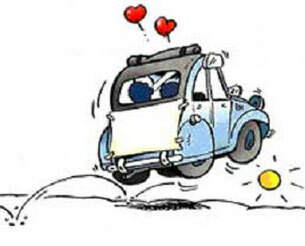 The 2CV is the car that will stay forever young, with its great love of liberty and happy-go-lucky attitude, always ready for far-away raids as well as Sunday's cross country races, or always ready to go on a world-tour or just help a friend to move out. The 2CV is part of our daily lives. Everyone smiles seeing its picturesque sway round the bends. Both children and adults easily recognize its unique design. And the specific sound of its engine has become legendary. We're here at your service all year round, with greater pleasure with an open sunroof! 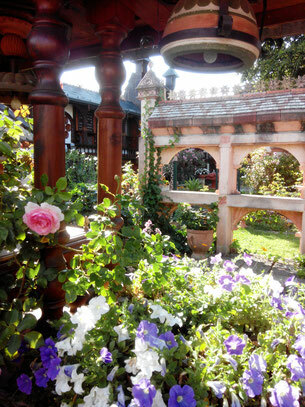 This tour gives you the opportunity to discover your town and its surroundings. You'll discover the esplanade "Le Pâquier", the casino "l'Impérial", the breath-taking view from the square of Annecy-le-Vieux, the beaches, the outskirts of the old town, the basilica of the Visitation uphill for a different view of Annecy, before taking a quick drive round Veyrier, taking a glimpse at the former restaurant of famous cook Marc Veyrat... And in the evening, you'll have the delight to taste a local apéritif by the lake in Annecy-le Vieux – a Savoy wine kir. 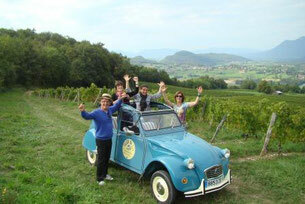 You'll be leisurely driven to enjoy the simple pleasures of a sunroof 2CV tour. In our splendid region and on a mythical vehicle, this is a recreational experience that you will be sure to love. 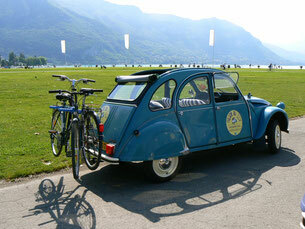 - On the 2CV, your chauffeur will drive you around the lake while stopping at the exceptional and interesting sights. - We'll drive through Bredannaz with its old train station, Doussart, Talloires with its wonderful bay, the chapel St Germain and its view on the lake, Menthon St Bernard, and up to Annecy. - You can stop off at the abbey of Talloires to have a drink. - You can make your way back on a boat from Veyrier to Annecy (in July and August only). - You can choose both options with additional fare. -Not only will you be driven to the pass of Bluffy and past the castle of Menthon Saint Bernard, but you will also stop off to taste the country products at the terrace of "L'Auberge d'Alex"
- After this nice and traditional meal with a nice view on the lake, we'll head to the chapel Saint Germain on the hills of Talloires to admire the stunning view of the lake. - Back to town with a glimpse of Mark Veyrat's restaurant and the lakeside. - Off we go to the Savoy vineyard. We'll stop off at Apremont to visit the house of the Savoy wines and enjoy a nice tasting. - We'll drive through Apremont's vineyards, and past Lake St André with the overhanging mountain Le Granier. And we'll head to Chignin and its nice vineyards. - And we'll go for tastings at a local wine grower where you'll be able to buy some wines if you wish. 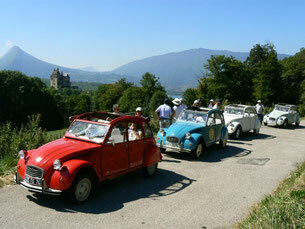 - The 2CV and its driver will take you to the region of the "Val de Fier" so as to discover the Chautagne region. - We'll make a first stop either at the village of Seysell to taste the Royal Seysell wine and other Royal and fantastic bubbles, or at the Chautagne cellars. - We'll then drive across the river Rhone and stop at the charming village of Chanaz linking up the Rhone and Lake Bourget. - After the stroll around Chanaz, we'll drive towards Lake Bourget taking the pass of "Chambotte" with its magnificent view on the lake. Finally, we'll get back to Aix-les-Bains or Annecy. - Starting from the west bank or from Annecy, we'll drive you to the east bank on the sunroof 2CV for the sunset on the lake. - While waiting for the sun to set, we'll treat you to a pleasant meal on the grass. Your chauffeur will have a surprise in store for you! - When we arrive on the west bank, where a breathtaking view of the lake awaits you, we will make a short break for refreshments at the foot of the locomotive which used to run alongside the lake, before setting you off on the bicycle track leading back to Annecy. Cycling will give you the pleasure to discover the beaches which are inaccessible by car. You'll have the full afternoon to enjoy and make your way back to Annecy. - We make our way back to Annecy along the quiet country roads, up hill and down dale. 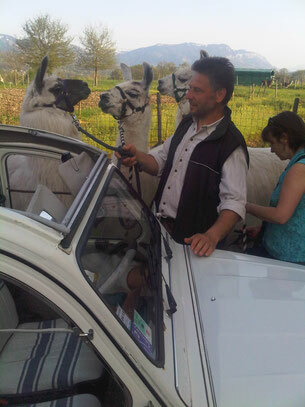 -On a nice summer day, the 2CV will drive you through the countryside of the Albanais region to discover the llama farm of Salagine. - The first contact with these odd animals is immediately exciting and you'll be reconciled with those of Hergé and their bad reputation. - Their haughty ways may be surprising but a first contact with them will be easy with the support of the masters of the place and great enthusiasts, Dominique and Josiane. Dominique and Josiane also grow some SAFFRON. You'll be able to taste and import their products to treat everyone you love. And then it'll be time to come back, taking a glimpse of the castle of Montrottier on the way. -The deuche and its driver will carry you along the east bank of the lake, hair streaming in the wind (Veyrier-du-Lac, Menthon-St-Bernard). We will drive past the paraglider landing area before heading to the waterfall of Angon. 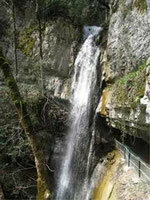 A 30-minute walk through the forest will lead us to the cascade and its refreshing air. And then, we'll drive back to the site of Ermitage for an astonishing view. 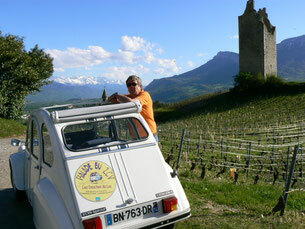 You taste wines with an oelonogist's comments, and drive leisurely in the vineyard with the sunroof 2CV. The Savoy Pre-Alps enjoy an exceptional natural and cultural environment. It's the country of lakes, vineyards and mountains, with a rich past history and a still strong identity. 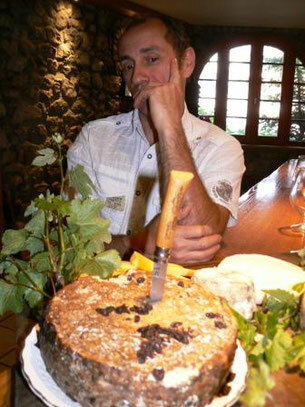 We offer you to discover the country's history, beauty and epicurean pleasures, in our 2CVs and the oenologist Bernard VISSOUX. 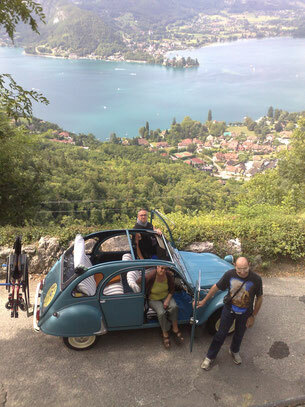 The two organisations "les Deuches du Lac" and "la Companie des Ballons" offer you to combine a flight and a 2CV drive with tasting by the lake. A great series of events to give you joy and happiness! A sunroof 2CV with its driver is waiting for you for a 2-hour tour around the lake including a tasting of sweet products and savouries with a suitable drink. Then, you get to the take-off point for a hot-air balloon flight. 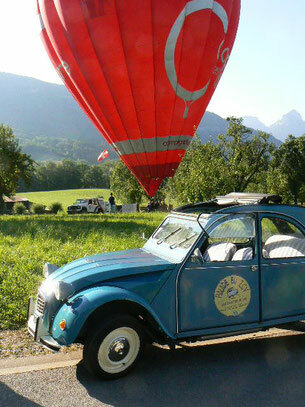 An unforgettable thrilling experience on the 2CV as well as on the balloon! An original gift idea, for the pleasure of giving, or simply to treat yourself!